Create a elegant space with hints of classic European design with Orac Decor’s line of pilasters. These polyurethane pilasters are the perfect accent for plain walls. Designed by top engineers at Orac Decor, these polyurethane pilasters are the perfect accent for any plain wall surface and adds texture to the space. Unlike traditional columns which take up more room, pilasters lay flat against your walls to provide the feel of traditional columns while giving you more space in the room. This line of pilasters also has a variety of mix and match bases and plinths to choose from. This gives you complete control over the custom design of your pilasters and the and ambiance of your home. Orac Decor’s collection of pilasters is produced exclusively in steel molds from a polyurethane blend, making them unbelievably detailed, durable, and lightweight. Each pilaster can be easily installed with common woodworking tools and are a cost effective way to change up the design of your home while also increasing the value of it as well. This line of pilasters is directly inspired by various periods of history and offers a variety of historical and contemporary styles. Orac Decor’s pilasters can easily transform any plain walls, doorways, hallways, bookcases and other spaces while enhancing the preexisting architecture of your home. Orac polyurethane pilasters, with their corresponding, mix and match pilaster caps and pilaster columns, can be used in a variety of interior applications as pilaster molding including adornment for doors, fireplaces and shelving embellishment. A great, cost-effective way in which to readily effect a desired atmosphere in any environment, most pilasters are offered as fluted pilasters, as they were directly inspired from various periods of history. Orac Decor, Polyurethane Capital for Pilaster, Primed White. 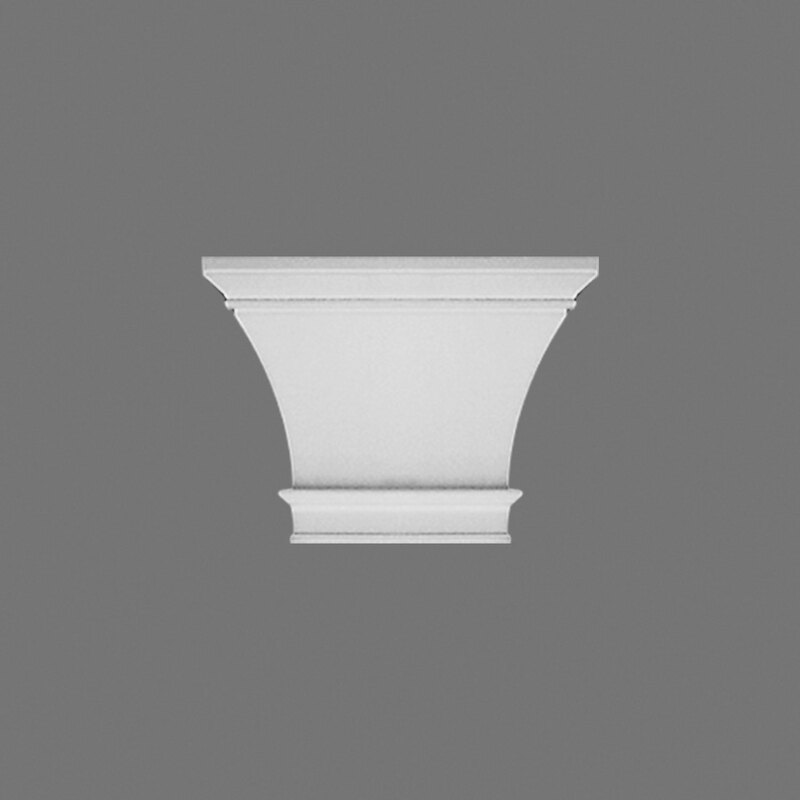 Height: 5-5/16", Width: 18-1/2"
Orac Decor, Polyurethane Capital for Pilaster, Primed White. 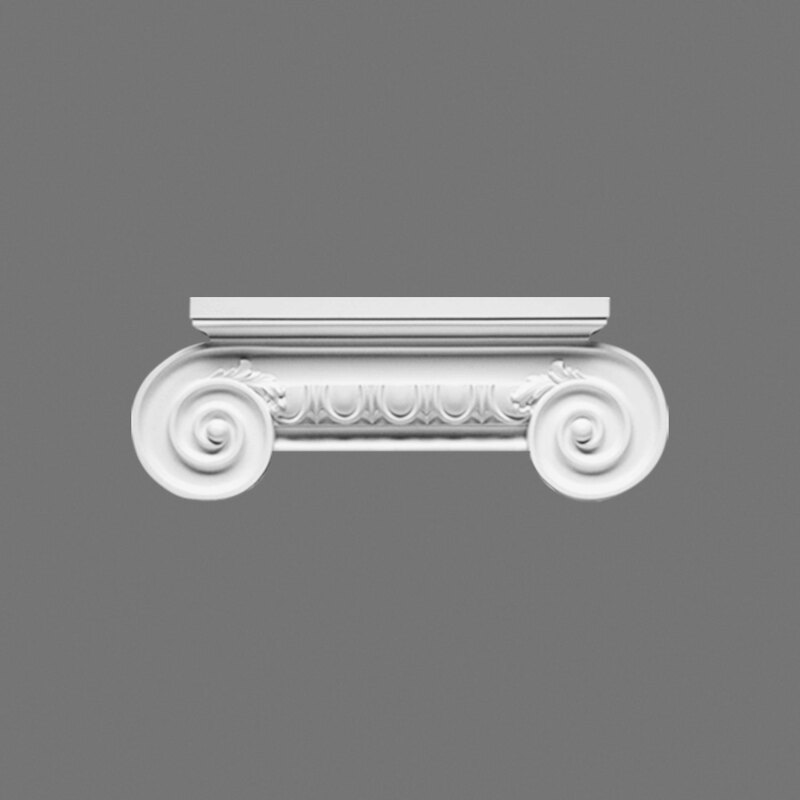 Height: 14", Width: 16-15/16"
Orac Decor, Polyurethane Capital for Pilaster, Primed White. 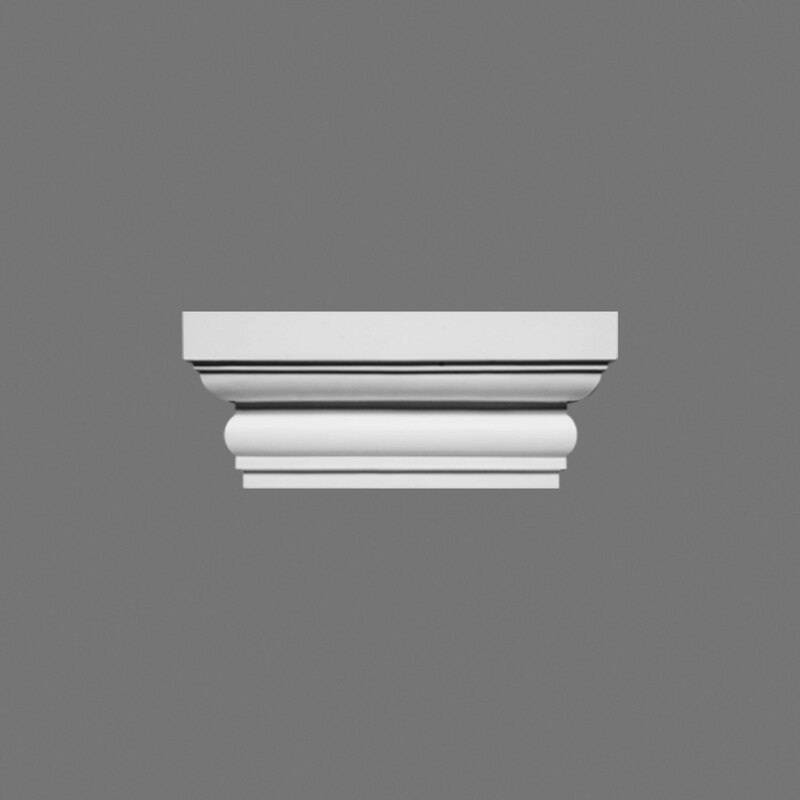 Height: 6-1/2", Width: 15-3/4"
Orac Decor, Polyurethane Plinth Block for Pilaster, Primed White. 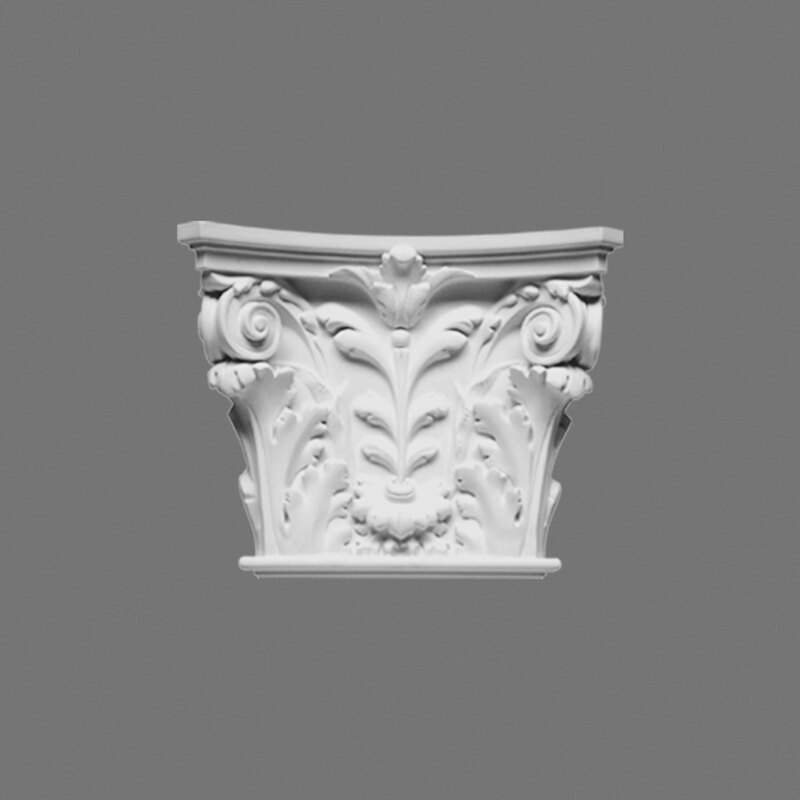 Height: 21-1/8", Width: 15-3/8"
Orac Decor, Polyurethane Capital for Pilaster, Primed White. 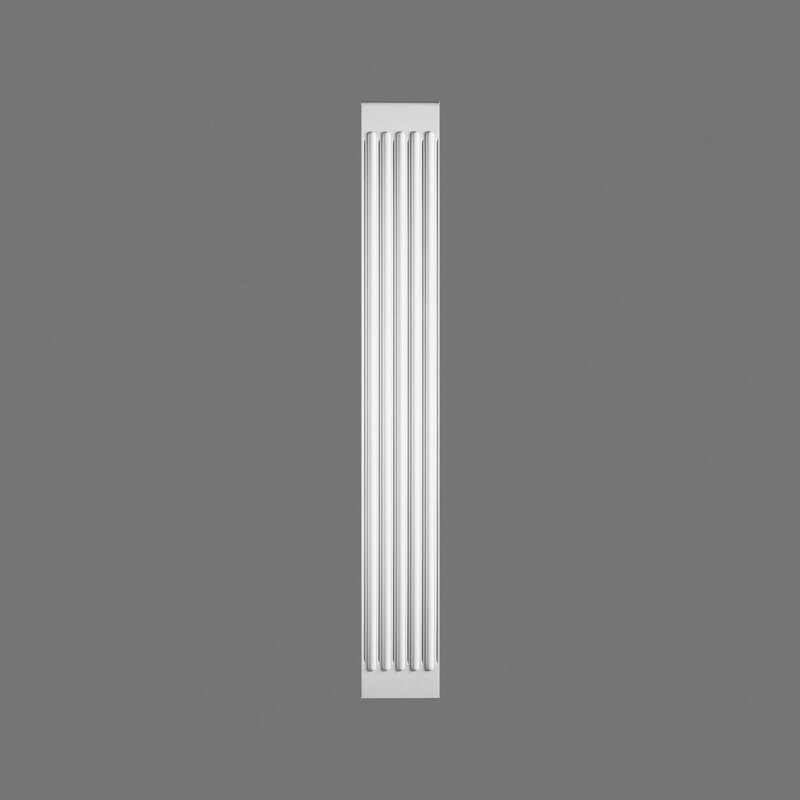 Height: 8-7/8", Width: 13-5/8"
Orac Decor, Polyurethane Capital for Pilaster, Primed White. 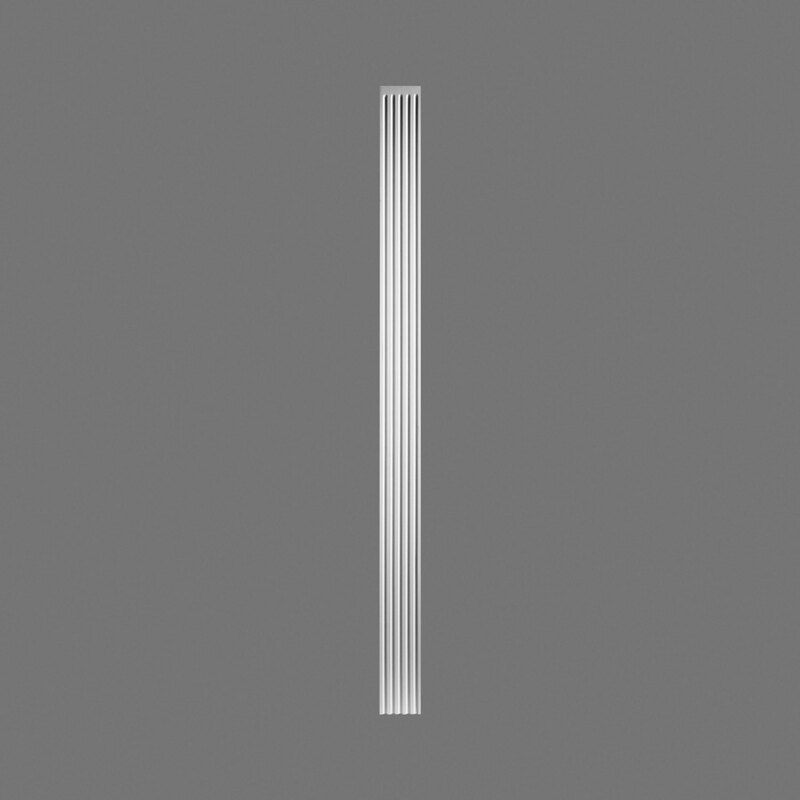 Height: 8-11/16", Width: 13-3/8"
Orac Decor, Polyurethane Pilaster, Primed White. 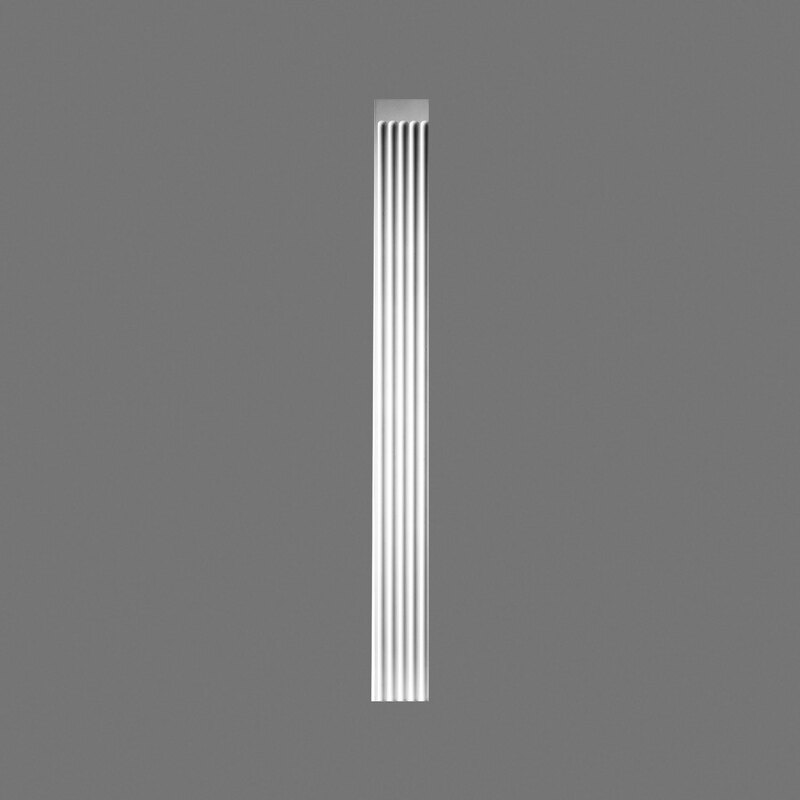 Height: 78-3/4", Width: 11-3/8"
Orac Decor, Polyurethane Pilaster, Primed White. 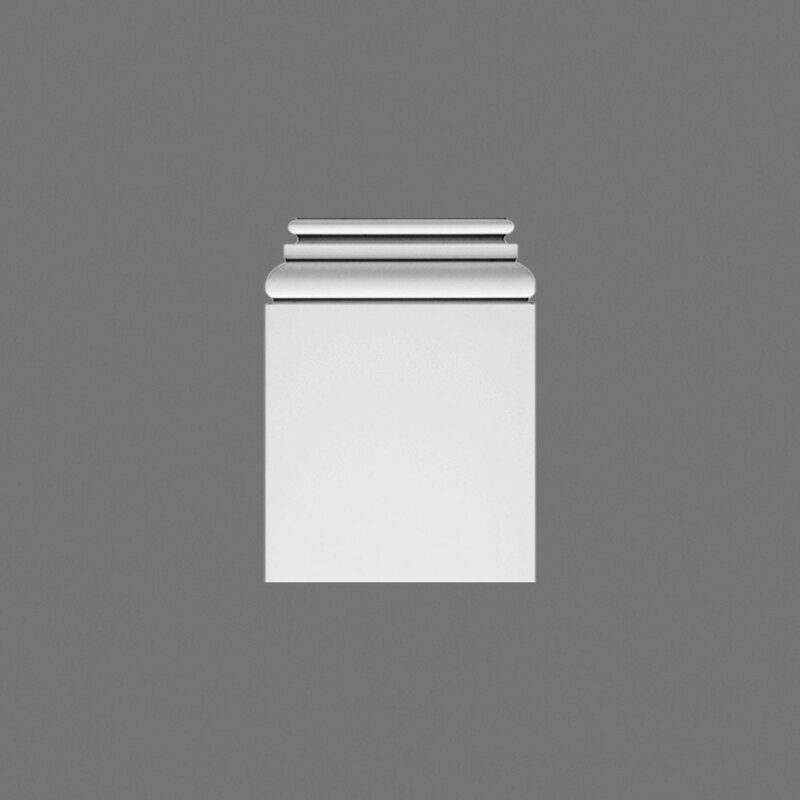 Height: 78-3/4", Width: 10-5/8"
Orac Decor, Polyurethane Plinth Block for Pilaster, Primed White. 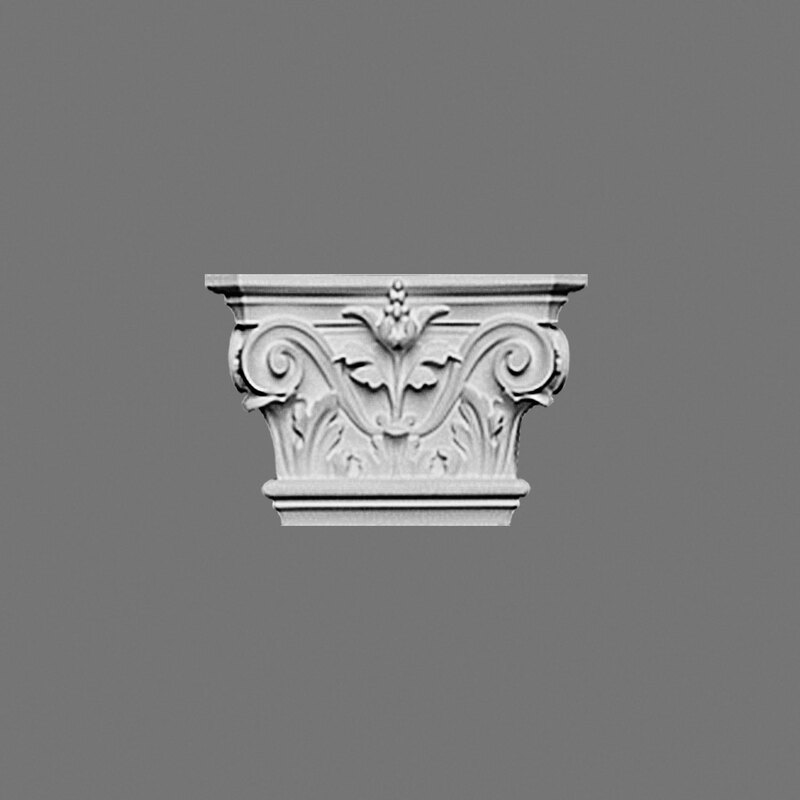 Height: 21-3/8", Width: 9-5/8"
Orac Decor, Polyurethane Capital for Pilaster, Primed White. 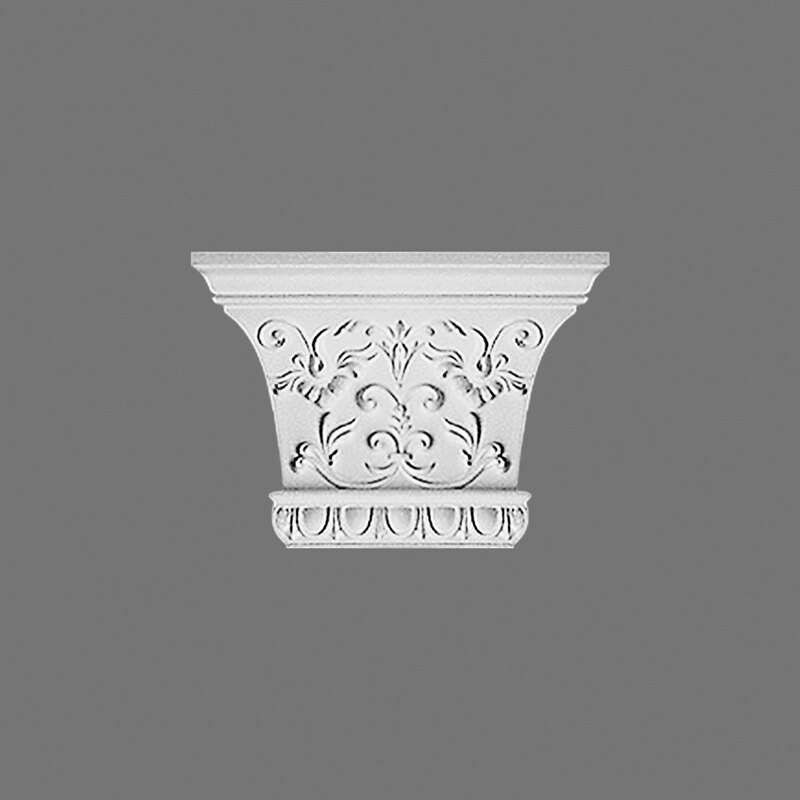 Height: 5-7/8", Width: 9-1/16"
Orac Decor, Polyurethane Pair of Capitals for Pilaster, Primed White. Height: 5-7/8", Width: 9-1/16"
Orac Decor, Polyurethane Pilaster, Primed White. Height: 78-3/4", Width: 7-7/8"
Orac Decor, Polyurethane Plinth Block for Pilaster, Primed White. 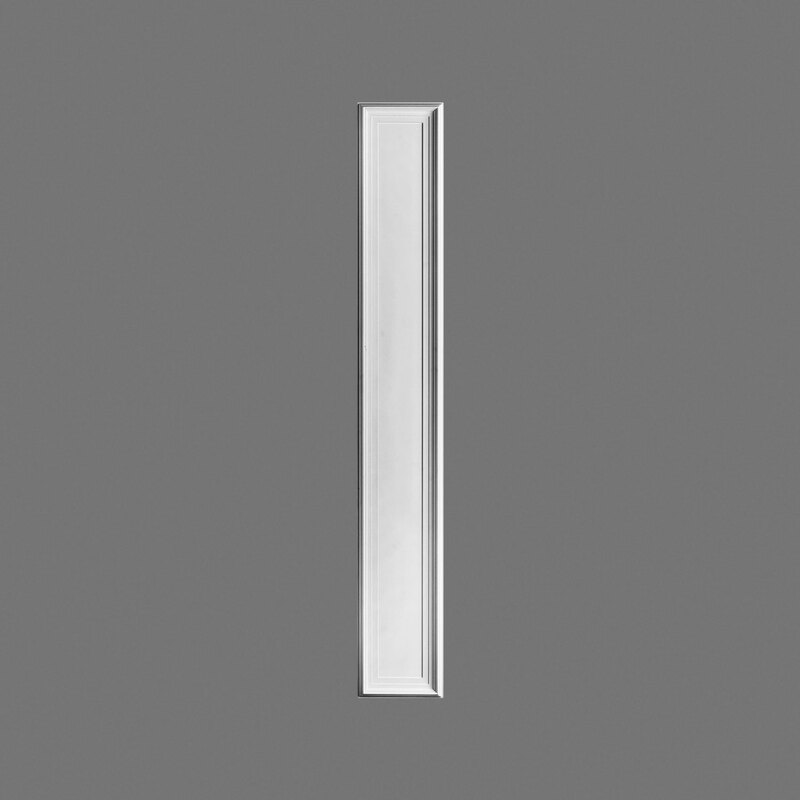 Height: 24-1/4", Width: 7-1/4"
Orac Decor, Polyurethane Pilaster or Door Casing, Primed White. Height: 78-3/4", Width: 5-3/8"
Orac Decor, Polyurethane Multifunctional Moulding, Primed White. Length: 78-3/4", Height: 3-5/8"
Orac Decor, Polyurethane Multifunctional Moulding, Primed White. Length: 78-3/4", Height: 3-3/4"